Welcome to the July 16, 2018 edition of ACM TechNews, providing timely information for IT professionals three times a week. Researchers working on the Blue Brain Project at the Swiss Federal Institute of Technology in Lausanne, Switzerland (EPFL) have implemented a fifth-generation supercomputer to help reach the goal of digitally simulating a complete mammalian brain by 2020. The Blue Brain 5 is a 372-node SGI 8600 system that realizes a peak performance of slightly more than one petaflop, with 94 terabytes of memory. The researchers argue the new system's modest floating-point capacity is warranted because bandwidth and I/O performance are seen as far more valuable to fulfilling project parameters than greater numbers of flops (floating point operations per second). The models reflect different biological scales, beginning at the molecular level of genes and proteins and evolving to more complex structures of synapses, neurons, axons, and glial cells. The Blue Brain team's ultimate goal is to simulate cognition and how different cognitive states may be mapped to microcircuitry. 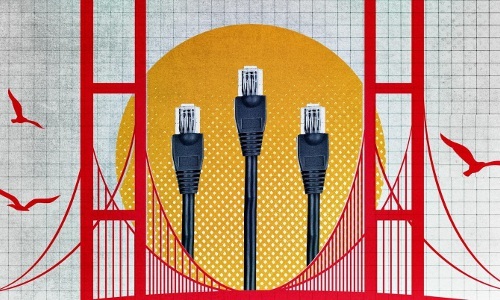 San Francisco has proposed a $1.9-billion project to build its own high-speed network to provide Internet access to its more than 100,000 residents who lack home connectivity. The plan would grant poorer San Franciscans free or discounted network access, while affluent residents could buy up to gigabit speeds at competitive prices. The effort hinges on whether local policymakers can classify high-speed Internet as an essential service instead of a luxury. Advocates believe universally reduced broadband costs benefit everyone by stoking competition and helping low-income residents access job opportunities, education, and city services. Internet service providers and some city officials think more pressing projects, such as sheltering the homeless, deserve more priority. 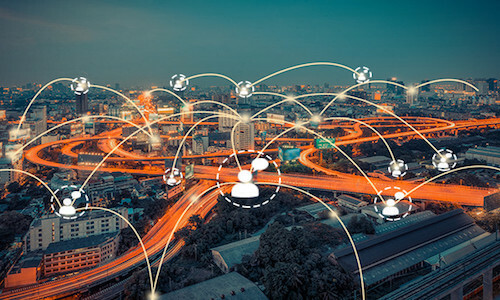 However, supporters such as the Brookings Institution's Adie Tomer contend a dearth of Internet connectivity is a common problem for tens of millions of urban dwellers as well as for rural Americans. Hackers are finding more severe vulnerabilities than ever before, as the total number of high or critical severity vulnerabilities identified increased 22% last year, according to the 2018 Hacker-Powered Security Report. In addition, 24% of resolved vulnerabilities were classified as high to critical severity across industries. Bounties for high-impact findings are growing; the top bounty awarded for a single report reached $75,000 in 2017. Competitive programs from Google, Microsoft, and Intel are offering $250,000 bounty awards for the identification of critical issues. The study also found false positives are fading, with 80% of submitted and qualified reports proving to be valid. The annual report, which is a benchmark study of the bug bounty and vulnerability disclosure ecosystem, is based on more than 72,000 resolved security vulnerabilities, 1,000 customer programs, and more than $31 million in bounties awarded to hackers from more than 100 countries. A Russian-British research team has demonstrated an artificial quantum system in which a quantum bit (qubit) engages with an acoustic resonator so the effects of quantum optics can be examined on acoustic waves and facilitate a more compact and stable quantum supercomputer design. "We are the first to demonstrate an interaction between a qubit and a surface acoustic wave resonator in the quantum regime," says Aleksey Bolgar at the Moscow Institute of Physics and Technology. The team analyzed the interaction of a superconducting qubit, or transmon, with surface acoustic waves in a resonator. The researchers proved the qubit can interact with the resonator, becoming excited and relaxed in the manner of a quantum system. 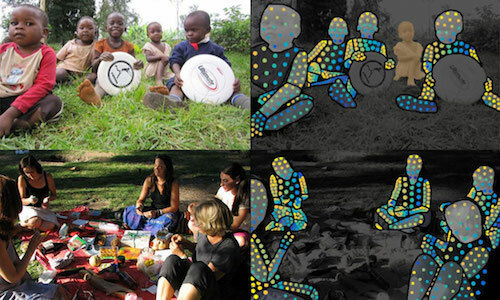 The Humanity & Inclusion (HI) organization has initiated a trial in Madagascar and Togo to provide affordable prosthetics to amputees via three-dimensional (3D) printing. Patients' limbs are first scanned to produce a 3D model of the part of the body in need of a prosthetic, and these scans can be sent directly to fabricators. 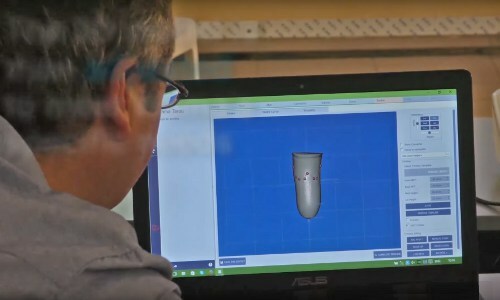 The scans help create a digital mold, which is used by a PC system to adapt a prosthetic to the dimensions and shape needed to fit the missing limb; the design then goes to a 3D printer to produce a custom socket from thermoplastics. HI says preliminary findings suggest the printed sockets are a "safe and effective alternative to current socket designs." Notes HI’s Isabelle Urseau, 3D printing "is unlikely to become the only way of providing prosthetics, but we think it could be a great option in certain circumstances." Representatives of the U.S. Military Academy (West Point), in partnership with the African Institute for Mathematical Sciences (AIMS), last month promoted science, technology, engineering, and mathematics education to 70 gifted students in South Africa. The representatives spent three days working with faculty at AIMS to facilitate practical modules and foster confidence in learning for the African students. The outreach event was made possible through collaboration between the U.S. Embassy in Pretoria, the U.S. Africa Command, West Point, and the researchers, staff, and graduate students at AIMS South Africa. Participants brought a "programmable circuit" laboratory to the training to introduce the students to technological discovery via exploratory exercises. 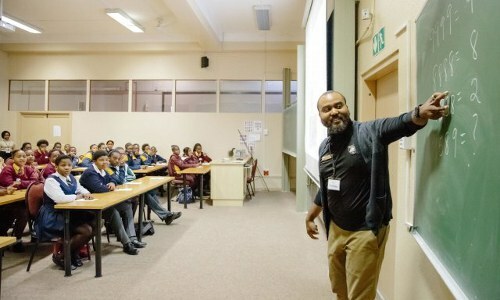 The training took place during South Africa's National Youth Month, which aims to inspire the next generation of scientists, technologists, innovators, and leaders in the nation. 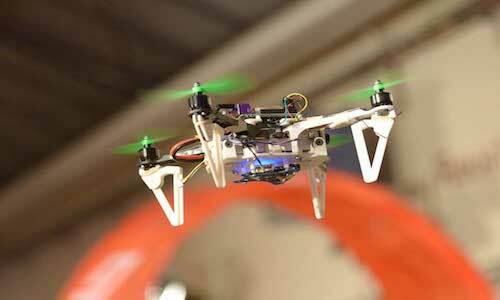 The University of Zurich in Switzerland and Intel have jointly developed a method to enable aerial drones to learn to avoid in-flight collisions. Zurich's Elia Kaufmann and colleagues sought to develop drones that could self-pilot through hoops or gates, and set up a track with such gates arranged in a circuit, altering the obstacles' positions after each lap. Camera recordings of gate images gathered over several hours enabled a neural network to learn how to pass through them on appropriate trajectories, via generalization. Kaufmann says real-world testing showed the drone could pilot itself at up to about 3.5 meters a second. University College London's Mirko Kovac envisions such drones performing "urgent delivery—such as in environments that have a lot of obstacles like forests, disaster zones, or inside collapsed buildings." Facebook AI Research (FAIR) has developed a deep learning system that can transform two-dimensional (2D) photo and video images of people into three-dimensional (3D) mesh models of those bodies in motion. The researchers enlisted human annotators to create a training dataset by manually labeling certain points on 50,000 images of human bodies such as head, torso, limbs, hands, and feet. The team then used an algorithm to estimate and fill in the rest of the points that corresponded between the 2D images and the 3D mesh models. The DensePose system can perform the conversion at a rate of up to 26 frames a second for a 240 x 320 image or up to five frames a second for an 800 x 1,100 image. OpenAI's Jack Clark cites the potential for DensePose to enable "real-time surveillance." Said Clark, “"As a community we—including organizations like OpenAI—need to be better about dealing publicly with the information hazards of releasing increasingly capable systems, lest we enable things in the world that we’d rather not be responsible for." Engineers at the University of Toronto (U of T) in Canada are using machine learning to create computer-generated X-rays to enhance artificial intelligence (AI) training sets. 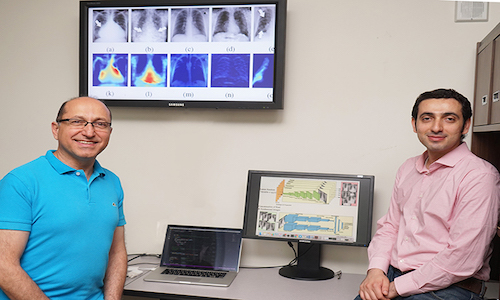 The system creates simulated X-rays that reflect rare conditions, which can be combined with actual X-rays in order to maintain a sufficiently large database to train neural networks to identify these conditions, says U of T's Shahrokh Valaee. The team created the artificial X-rays using a deep convolutional generative adversarial network (DCGAN). GANs are composed of one network that produces the images and another that tries to discriminate between synthetic and real images. 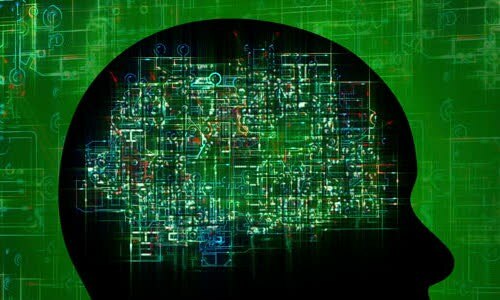 The networks are trained to the point at which the discriminator cannot differentiate real from synthesized images. After using this system, the researchers found classification accuracy improved by 20% for common conditions and up to about 40% for some rare conditions.